SwiftKey launched a keyboard app for Android on Thursday that allows users to text like William Shakespeare. Called ShakeSpeak and can be downloaded onto digital devices. 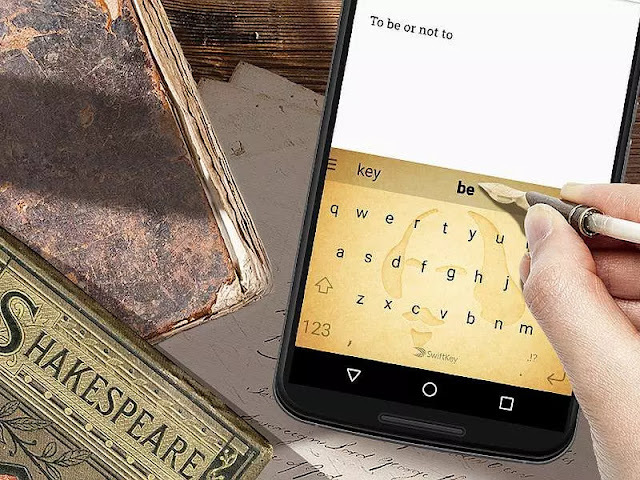 It uses predictive keyboard technology to complete sentences in the manner of Shakespeare. 2016 will see the 400th anniversary of Shakespeare's death on April 23 1616. Employees working in the designing SwiftKey ShakeSpeak before carefully read the works of William Shakespeare. User while using the keyboard in a way that easily Shakespeare "thou", "thee" and "thy" will be used. The rest predictive technology will work within the app. Finally, the user will get the sentence written in Shakespeare's style. For example, if user "To be" the app automatically writes the sentence "or not to be, that is the question" to complete will suggest. "All the" type on the "world's a stage, and all the men and women merely players" suggested that he write will. 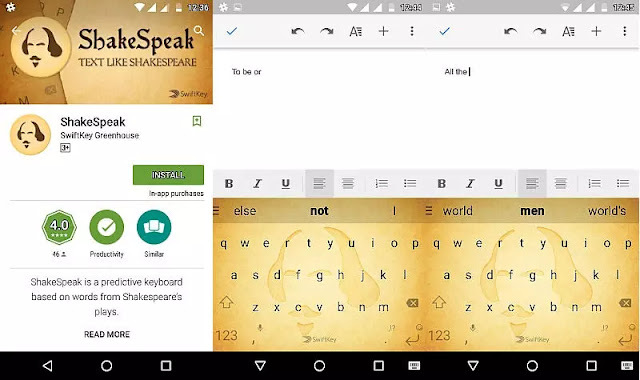 SwiftKey a senior official said, "Shakespeare had a different style in the language of the common man reach. Now their unique and timeless style we can find through the smartphone keyboard. "